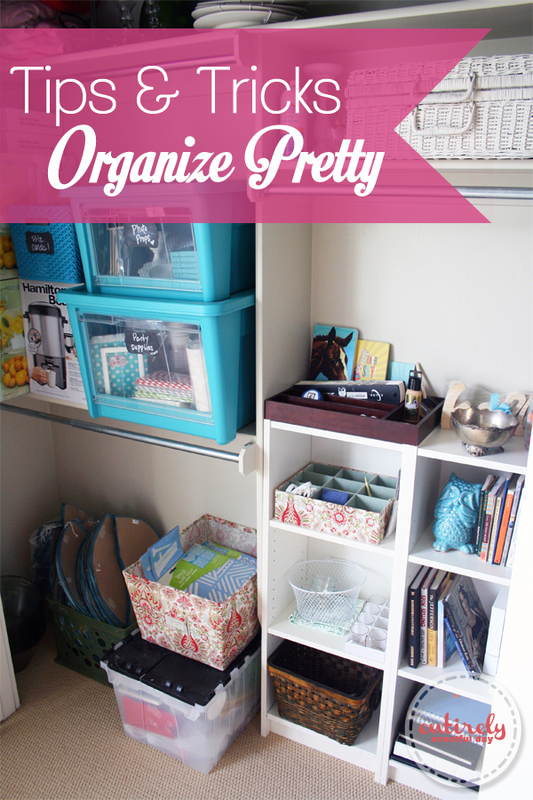 So I decided to share with you, some tips and tricks for organizing pretty! Allow me to introduce you to my shame! I told you, I have been known to let things get out of hand. This is my guest room closet. 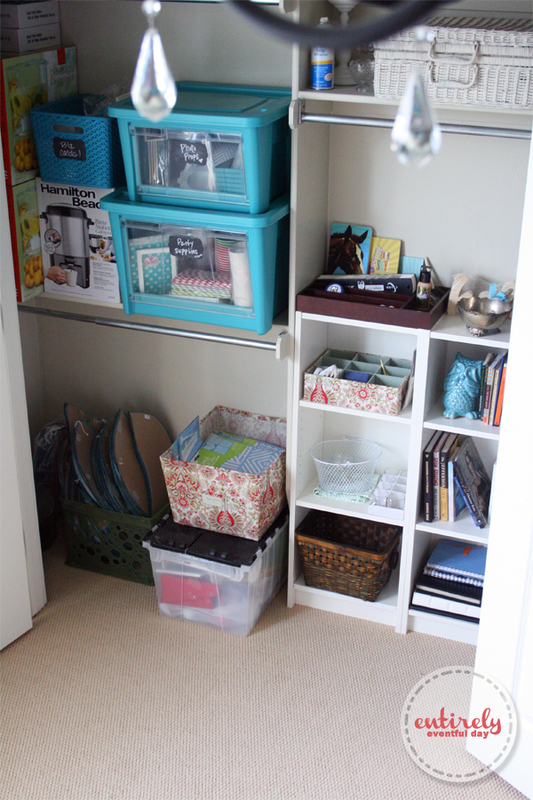 This room also doubles as my craft room. At the time this photo was taken, I couldn't even shut the closet door (legit). Tip #1: It's all about the tools! This is a truth my husband taught me. And in my DIY projects I have learned that if you have the right tools, the job is doable and looks great. But if you try to do a project with the incorrect tools, well, it won't be pretty. So I headed to Home Depot (where else?) 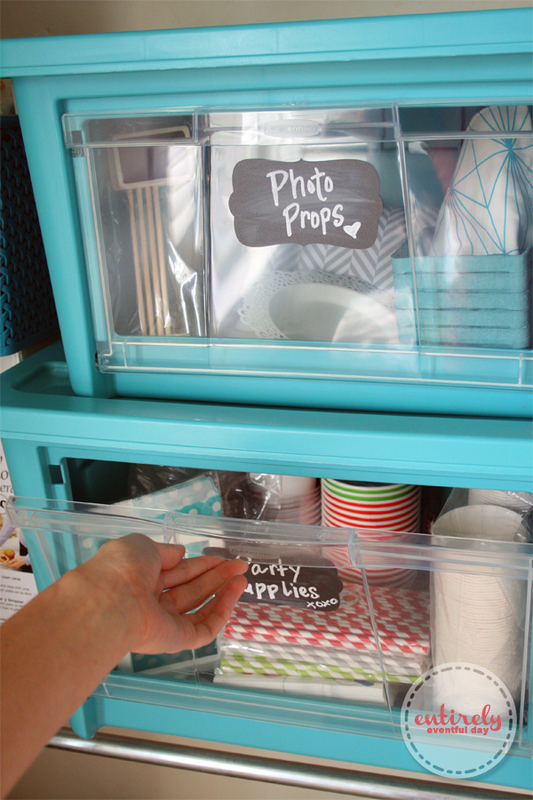 for some organizing solutions. 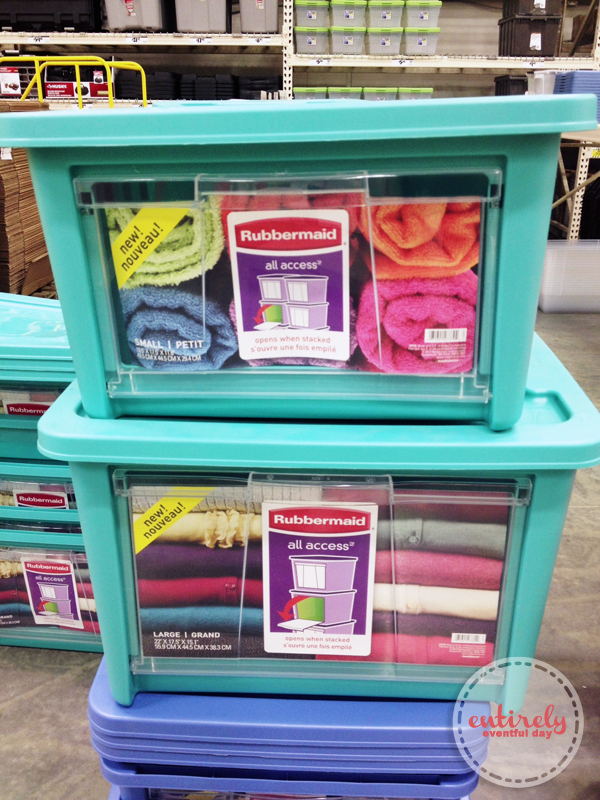 I grabbed these super functional (and adorable) Rubbermaid All Access organizers. Why you ask... Isn't it obvious? Maybe not yet, it will be, keep reading. Tip #2: Make it natural. I once read that you should organize in a way that feels natural to you. If you naturally leave your shoes by the door then you should put your shoe rack by the door and not in the bedroom. Makes since, right? 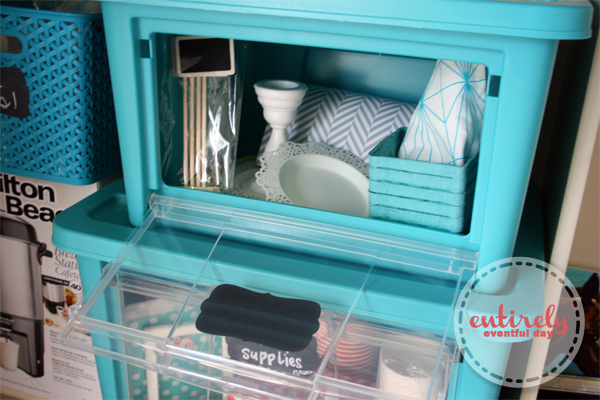 This is why I love these lovely organizers, they make it easy to store the things I use often in a natural way. I used to have these things stored in a traditional plastic tub and they were hard to get to and hard to put away. 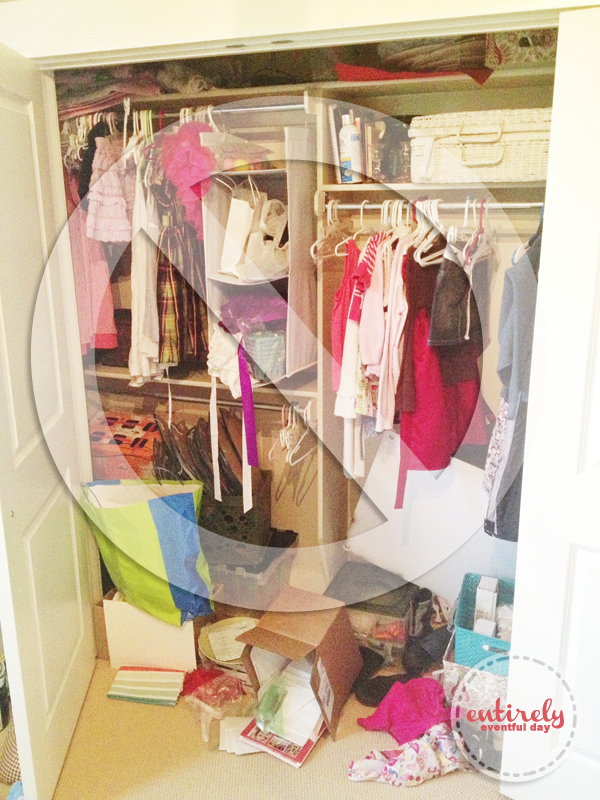 Tip #3: Give yourself more space than you actually need. I bought these shelves from a Facebook yard sale group in my community for $10 each (do you guys have those? It's pretty awesome). They work great to give me more than enough shelving for my crafty stuff. 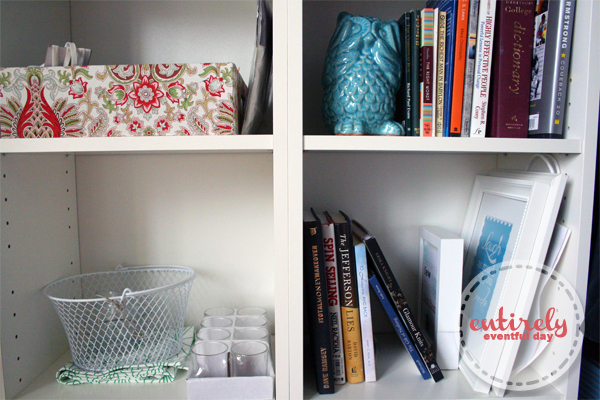 So when organizing, try to think ahead and plan on adding more stuff (because you know that's how it always goes). This is how my closet looks today! I'm thinking of adding a pegboard on the wall above the shelves, what do you think? Oh, or maybe some dowels to hold my wrapping paper? 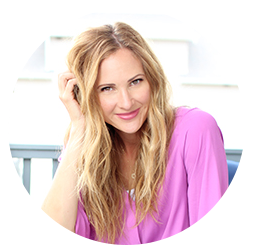 Tip #4: Label it baby! If I'm in a hurry, I will chuck anything anywhere. Labels keep me honest. If my bin says "party supplies" I'm not about to put anything else in there. I got these chalk board labels from a friend, they are pretty easy to find. Tip #5: Stick with it. Once you have a system down, discipline yourself to stick with it. 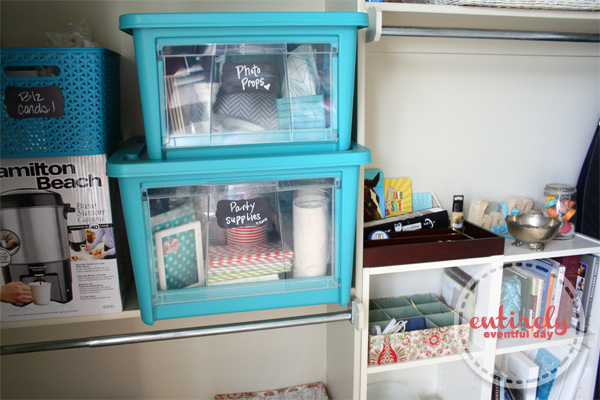 The good thing about organizing pretty is that there is a little extra motivation to keep it up... cause it looks so darn cute! I'm really happy with the way my Rubbermaid All Access organizer function and look. If you need a little organizational push, these might be just the ticket.